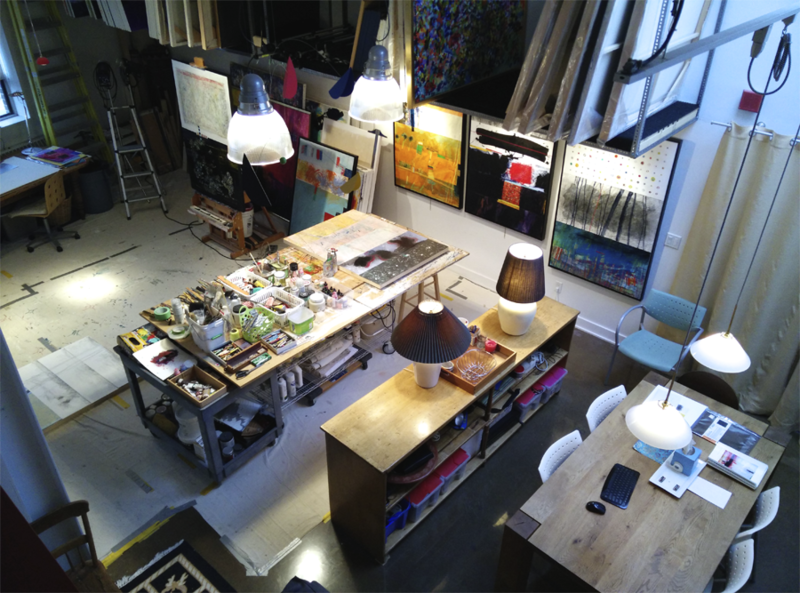 I am fascinated with work, studio environments. Places where artists create "things". Some places are very tidy, compulsively organized, other are a mess, they are all very informative of the person who made them.